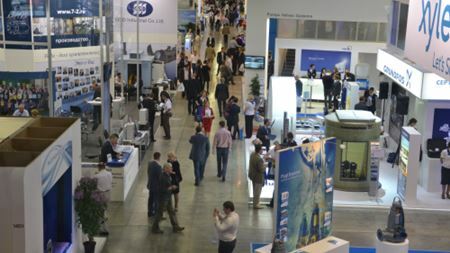 Early June gathering for the biannual water and wastewater technology exhibition and conference in Moscow. Michael Smith Engineers helps a leading electronics manufacturer to achieve reduced downtime and repair costs. Franklin Control Systems' extension of the technology of the EMS motor starter features 'cutting-edge protection and monitoring'. Schaeffler’s FAG Wear Debris Check indicates damage or wear to bearings, cages and gears within a gearbox. DESMI Inc has invested US$1.9 million in an expansion of its assembly and manufacturing operation in Chesapeake, Virginia, USA. IDEX Corp’s Trebor International has promoted Kelly Davis to general manager. Sulzer Pumps has acquired Tartek Oy, a family-owned mechanical seal manufacturer based in Rauma, Finland. Pentair has opened a new strategic hub in Moscow, Russia. Schlumberger Artificial Lift has won a US$15 million electric submersible pump (ESP) contract from Cairn India Ltd.
Maag Pumps Systems introduces its sixth generation series of pumps. Caprari has extended its MEC-MG flanged pumps series. Dickow Pumpen KG has received a number of orders to supply 164 magnetic coupled pumps for the SADARA chemical complex in Saudi Arabia. Giant pump manufacturer donates three energy-efficient circulators to Team Ontario. Next event is on 23 October. Oerlikon Leybold Vacuum announces vacuum technology deal with global manufacturer of uranium centrifuges for nuclear power facilities. A staggering 650 Tsurumi pumps are at work on one of Sweden’s biggest power projects. 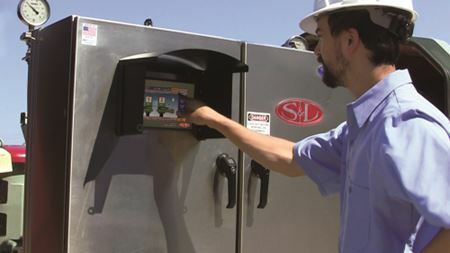 Grundfos system boasts wireless remote control and monitoring of pumping installations 'anywhere, anytime'. Centrifugal pump specialist Amarinth is to supply a further eight API 610 OH2 A-Series pumps to the Zubair Initial Production Facility in Iraq. Pentair Ltd president and chief operating officer Michael Schrock is planning to retire at the end of the year. Wanner International provides a solution to reliability. Women's Engineering Society offers 17 sponsored student places for its 2013 student conference. Addition to the company's Smart Technology CM-100 Series of 'intelligent' sea water cooling system controller. Ruhrpumpen has delivered two turbo pumps for a crude oil pumping station in Habaniya, Iraq. ITT Corp has officially opened a new US$34 million pump manufacturing facility in Chungcheongbuk-do county in South Korea. Xylem Inc has appointed H Balasubramaniam (Bala) as the company’s new managing director in India. The KSB Group has supplied 70 pumps and around 700 butterfly valves for the new cruise ship EUROPA 2 operated by Hamburg-based Hapag-Lloyd Cruises. A majority of Edwards Group Ltd shareholders have approved the merger agreement that will see Atlas Copco acquire the vacuum pump manufacturer. Grundfos has named Duncan Cooper as president and CEO of the company’s North American region. The following business stories were the most popular with visitors to the World Pumps website last month. Is your metering diaphragm pump having self-priming problems? Weir Minerals has received an order for the two largest pontoon-mounted dewatering systems it has ever sold in Europe from German mining company Dorfner. Wilo USA is guaranteeing delivery of select pumps in 10 business days or less. Torishima Pump Mfg Co Ltd is supplying 15 potable water transmission pumps to the Ministry of Water and Electricity in Saudi Arabia.